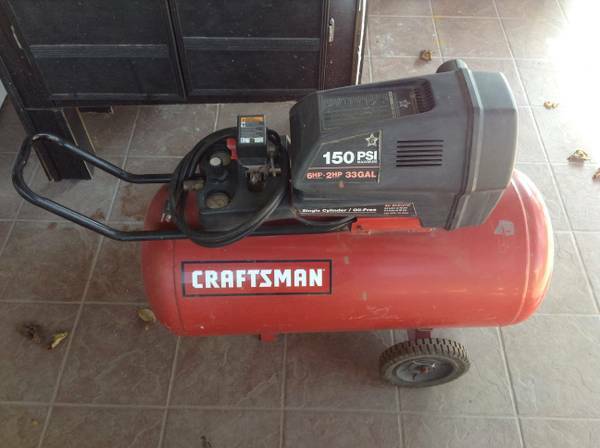 Craftsman 33 gallon air compressor for $175. Works great.More specs150 psi2 HP8.6 scfm at 40 psi6.4 scfm at 90 psi120 volt15 Air hose not included. New air compressor, never used. Craftsman 150 psi33 gallon with hoses. 200.00 or best offer.